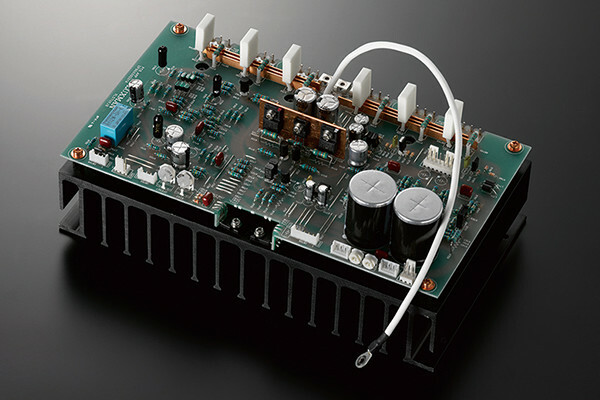 An integral part of the design of the L-509X is LUXMAN’s original ODNF* amplification feedback circuit, featuring a high-speed primary slew rate, an ultra-wide bandwidth and a low level of distortion that is achieved by feeding back only the distorted components of the audio signal from the output of the amplification circuit. The L-509X is equipped with the latest Version 4.0 ODNF providing a dramatic enhancement of accuracy in distortion detection due to the triple-paralleled first stage error detection circuit. Lower impedance and a higher signal to noise ratio have been achieved due to the paralleled first stage and Darlington equipped second stage amplification circuit. 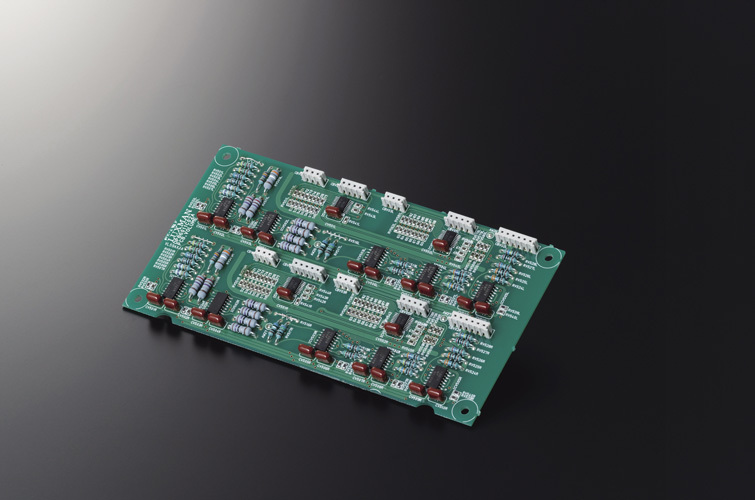 A 3-stage Darlington circuit and a 4-parallel push-pull structure is used for the output stage, similar to the M-700u power amplifier. This achieves output at 120W+120W(8Ω) and 220W+220W(4Ω), enabling the L-509X to drive speakers powerfully with rich dynamics and full expression. 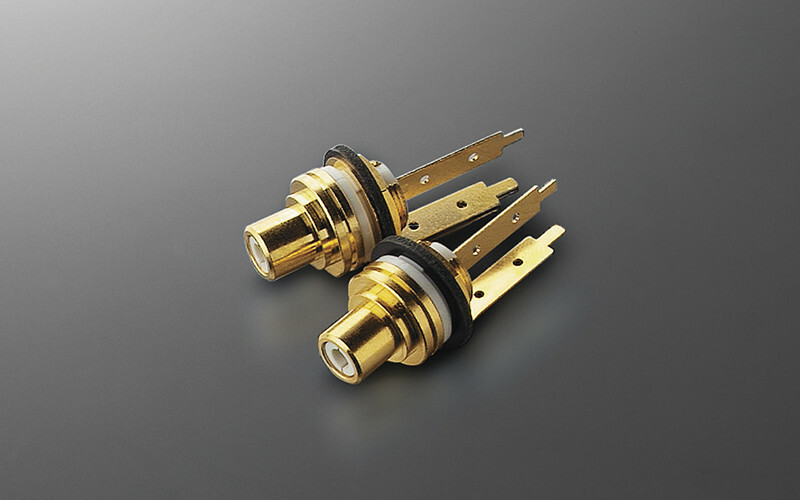 High quality RCA terminals, made of copper alloy, are used for the LINE-1 inputs of the L-509X, combining the beneficial conductivity of copper and durability of brass. 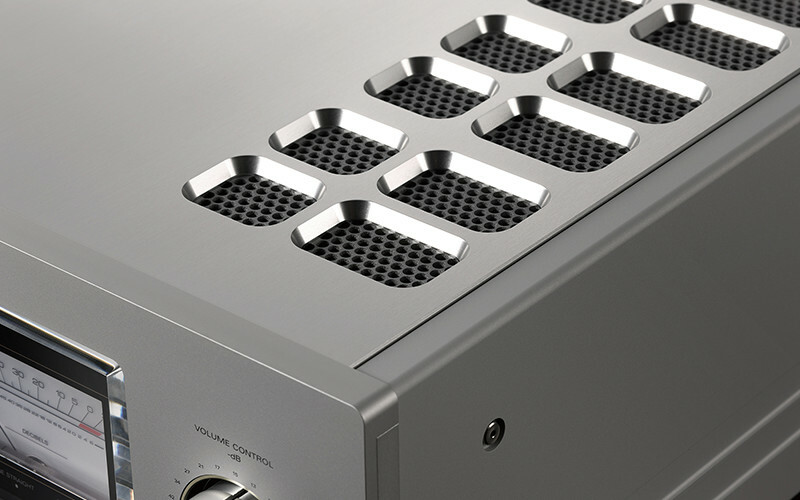 The L-509X features many custom-made components befitting a flagship model, such as the robust power supply and high-grade speaker terminals that are compatible with Y-connectors. Thorough vibration countermeasures have been taken, using cast iron feet with a density gradient to eliminate resonance. The high grade, aluminum body remote control is also supplied as standard. 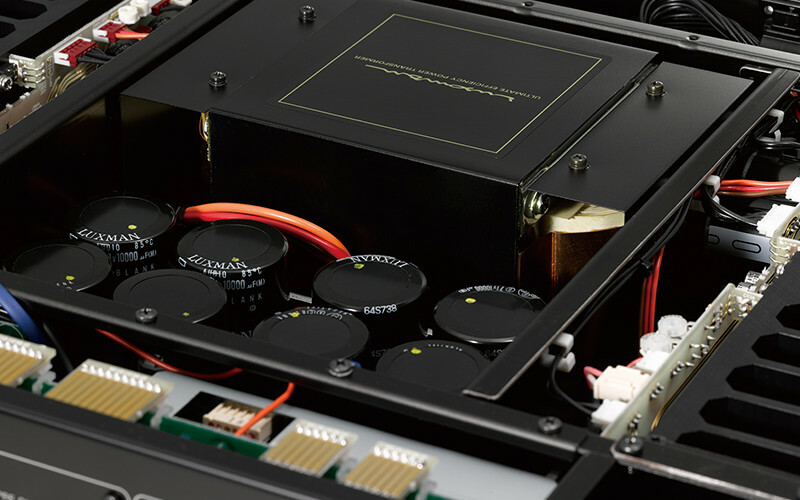 The L-509X is equipped with a discrete buffer circuit that is equivalent to the type used in the high-end LUXMAN C-900u separate amplifier. The clarity of the audio signal is preserved by this circuit whilst at the same time the following power amplification stage’s driving force is significantly increased. 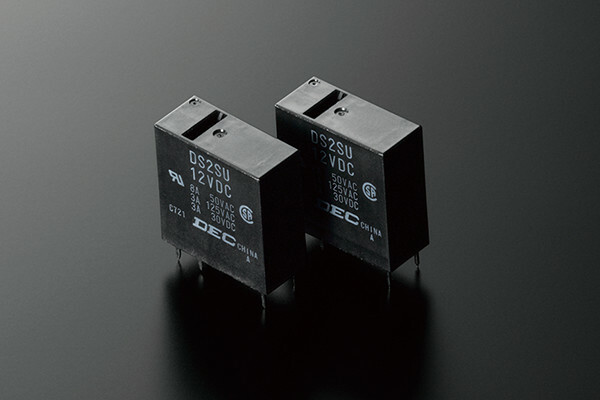 Large-capacity, low resistance speaker relays are connected in parallel, enabling loss-less transmission of the powerful driving force that is generated by the generous power supply circuit and the amplifier output section of the L-509X. 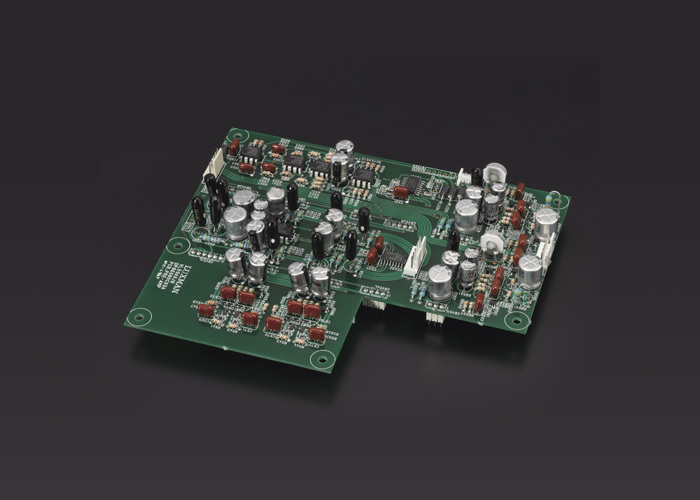 The use of 3.5mm2 cabling for the amplifier board output and the unit’s damping factor of 370 enables the L-509X to drive all kinds of speakers accurately. LUXMAN’s New LECUA1000 is at the heart of the preamp section and the volume adjustment control of the L-509X. 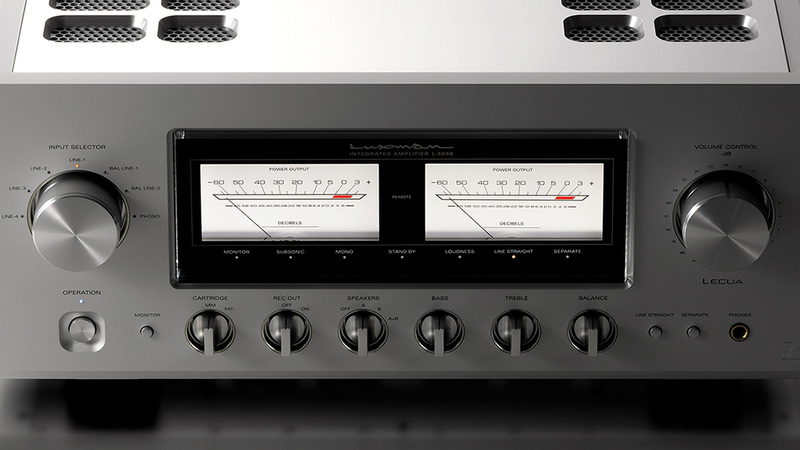 This computerized attenuator is integrated with the amplification circuit, a feature integral to the high-end LUXMAN C-900u control amplifier. 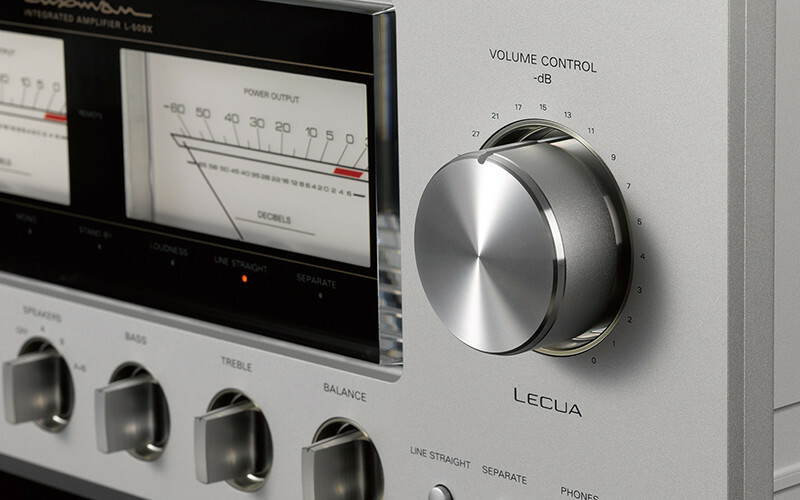 LECUA provides an ideal level control system which allows smooth and fine adjustment of the volume over 88 steps, thereby minimising the deterioration of audio quality at any point of the volume adjustment range. 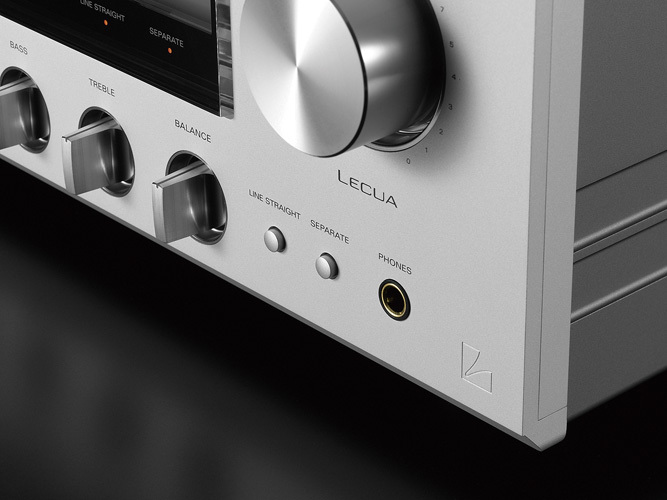 An advancement of the New LECUA1000 is the 3D design layout. 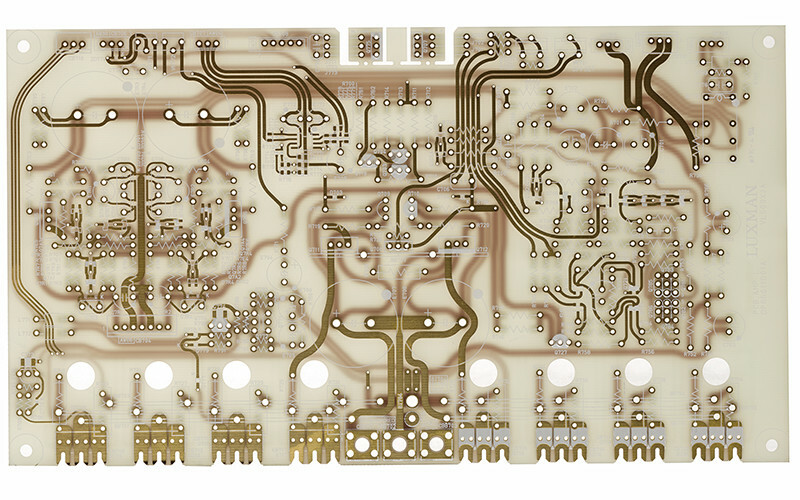 The attenuator circuit board is directly connected to the amplification circuit board. Signal routing has been minimized andefficiency has been successfully enhanced. In addition, this design is extremely resistant to external vibration and eliminates changes in audio quality over the volume control range. The robust nature of this system ensures longevity and durability. *LECUA stands for “Luxman Electronically Controlled Ultimate Attenuator”. Hear the Luxman L-509X Integrated Amplifier at Command Performance today!